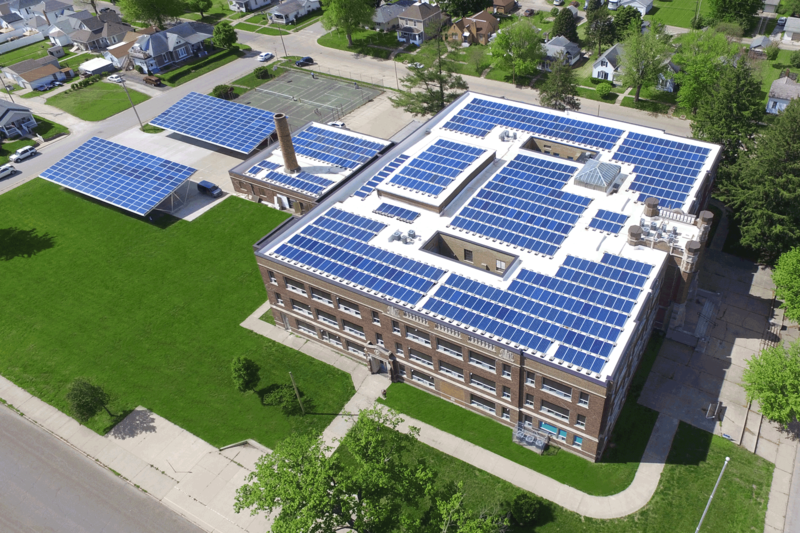 School House Apartments, formerly Madison Middle School, is a 39-unit commercial re-purposing project selected by readers of Solar Builder Magazine as a commercial Solar Project of the Year in 2016. 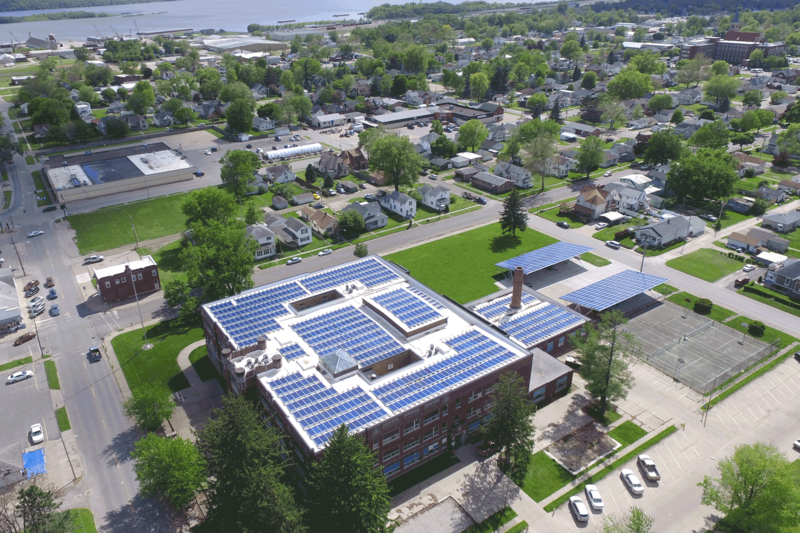 Developer Todd Schneider converted the vintage 1922 school building into a 39-unit apartment complex, saving a landmark building from an Iowa landfill and creating a showcase of renewable energy. The installation utilizes EcoFoot2 modular racking to support Renesola 300w panels for a total system size of 300 KW. The addition of solar helped the project gain funding through the state-administered federal program, Community Development Block Grant (CDBG). Read the full story at Solar Builder Magazine’s website. Learn more about the latest modular racking system from Ecolibrium Solar, the EcoFoot2+. Contact us today to learn more about how our racking solutions can simplify your installation, schedule a product demo, or get a project quote.